Don't let your weaknessess prevent you from getting the job. One of the most dreaded interview questions is "What is your greatest weakness?" According to Priscilla Claman, president of Career Strategies Inc., the purpose of this question is to make candidates feel uncomfortable in order to see how they handle pressure. Candidates who prepare a good answer to this question in advance demonstrate that they are capable of meeting a challenge. Instead of thinking negatively about yourself, focus on the things that you would like to improve. Do you put too much pressure on yourself? Are you impatient? Do you have trouble leaving the office behind when you go home for the day? If you have difficulty thinking of one or more weaknesses, ask former co-workers for help. They can help you identify a work-related area of improvement, while family and friends are more likely to know your personal weaknesses. Weaknesses are not necessarily faults. For example, being overly talkative, a tad pushy or a bit impatient can actually help you to succeed in certain industries, such as sales. The goal is to turn something negative about yourself into something positive. For instance, a manager might have difficulty delegating and prefer to handle certain tasks himself. This "weakness" conveys to an interviewer that the manager has a strong sense of accountability and work ethic. Revealing a weakness on an interview can be humbling. Let the interviewer know that you are working on it and mention the steps you have taken to improve it. For example, if you are a bit introverted at work, you can speak up more often at meetings. Talkative individuals can make a concerted effort to listen to others more. Keep your answer short and to the point. Briefly state one current weakness unless asked for more. You can elaborate about a former weakness that you successfully overcame. For instance, you might have been disorganized in the past but corrected that by creating a better filing system. You might have rid yourself of a prioritization problem by creating a daily schedule or working ahead. Honesty is the best policy when addressing your weaknesses. Your answers should be sincere. Minimize the magnitude of the flaw by prefacing it with words or phrases such as "somewhat" or "a little bit." Careerealism.com suggests using the following phrase, "If I had to come up with one ... it might be ..." before stating the weakness. 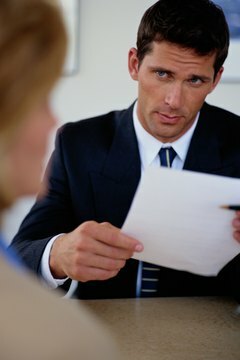 The weakness you choose to reveal to an interviewer should not be something that will impair your ability to do the job because that would compromise your chances of getting the job, according to Recruiter.com. Keep in mind that potential employers might ask the people you list as references about your weaknesses as well, according to CareerFAQs.com. 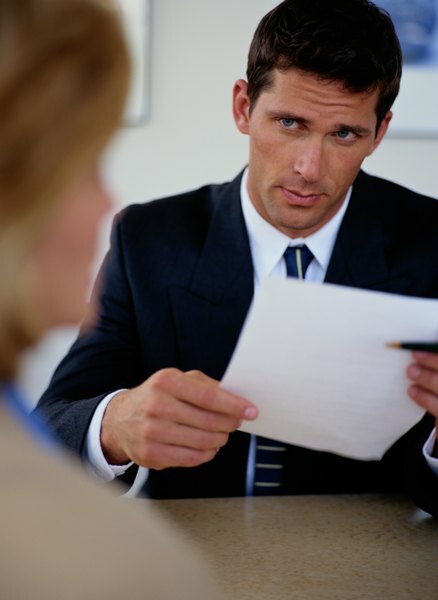 Career FAQs.com: Job Interview Question and Answer: What's Your Biggest Weakness? What If You Can't Think of a Weakness in an Interview?